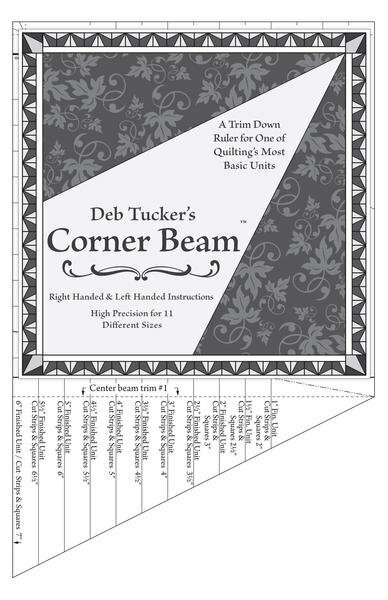 Corner Beam from Deb Tucker's Studio 180 Design is a must-have tool for any quilter! 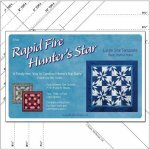 This tool creates a unit that is common to many quilt designs, and would be terrific for those who wish to design their own quilts, too. 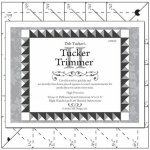 Although the ruler shape is similar to Deb Tucker's "V Block," this tool helps quilters create a final unit that has two seam lines which radiate from a single corner, so the center triangle in the finished unit resembles a beam of light shining out of that corner! 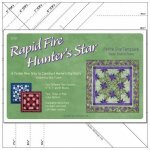 Units are cut and pieced slightly oversized, and the clearly marked lines help quilters align the tool to trim quickly and confidently. A fun tool for exploring design options!